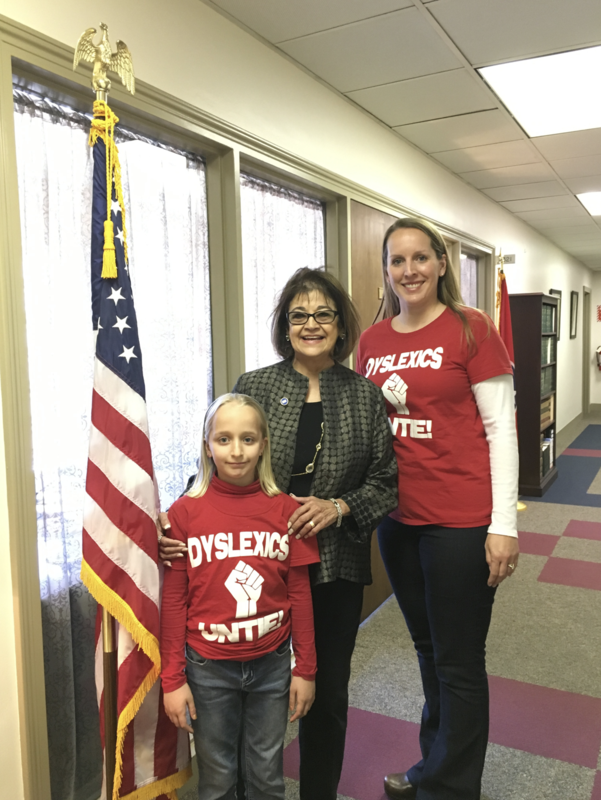 Dyslexia Untied – A Mom's Journey Advocating for Students with Dyslexia in Tennessee. A Mom's Journey Advocating for Students with Dyslexia in Tennessee. 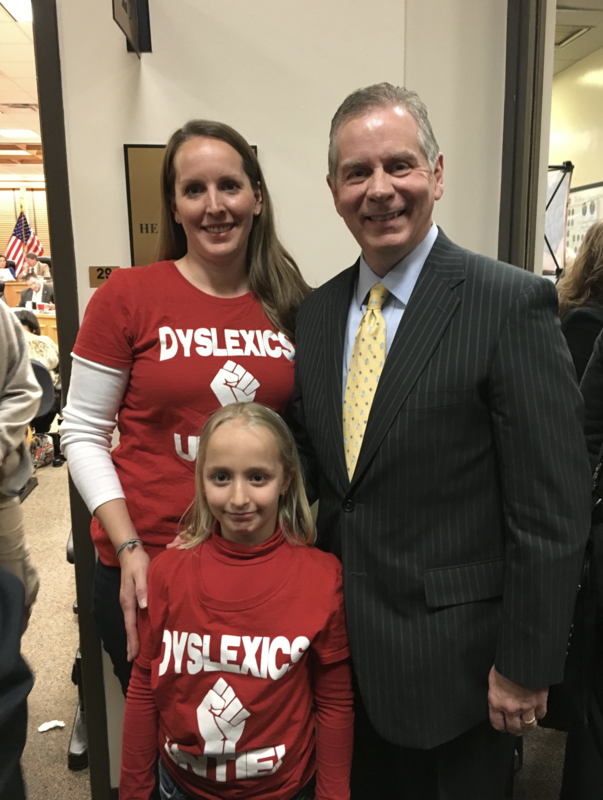 Its hard to believe it has been two years since the Say Dyslexia Bill passed in Tennessee. It was such an amazing thing to be a part of. While I cheered from the sidelines on Social Media to encourage law makers to support this important Bill, so many others did so much to get this law passed. I am proud that much of the hard work was done by members of Decoding Dyslexia – TN. A huge thank you goes out to Lori Smith, Julia Johnson, Representative Joe Pitts and JC Bowman with ProEd Tennessee. The Bill was signed into Law on June 9, 2016. Stay tuned for another post then. 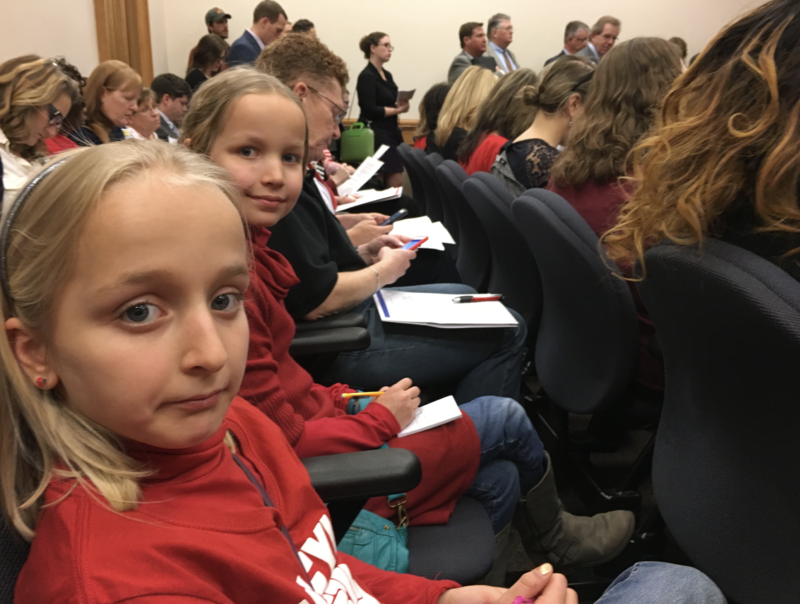 The new law has not made things perfect for students with dyslexia, but it has made them so much better. There is still so much to do…lets keep at it y’all. To learn more about the Say Dyslexia Law in Tennessee, visit the Decoding Dyslexia TN website here. * The information below is part of the presentation “How Technology Can Support Students with Dyslexia” that I gave with Krista Bolen at the TNIDA 2018 RISE conference on April 7, 2018. Assistive Technology (AT) is an important tool to help people with dyslexia be successful. We recommend you start using programs and apps similar to the ones below to assist your child with reading, spelling and writing. These programs and apps can be used at home to help with homework and worksheets, or at school if your child has access to technology. Additionally, Section X of the Tennessee Dyslexia Guide gives schools guidance for the use of Assistive Technology in the classroom for students with characteristics of dyslexia. READING: Ear reading (listening to content with your ears instead of reading it with your eyes) is one of the most important piece of Assistive Technology for students with dyslexia. Reading can be slow and inaccurate. Listening to content can improve comprehension and give children access to books and material that they could not access with eye reading. There are many great resources for ear reading including traditional audio books and “play-aways” from your local library. Oftentimes, you can access digital content for ear reading from your child’s teacher. Many families use a mix of ear reading programs and apps depending on the type and availability of the content they are seeking. We encourage you to explore the programs and apps listed below. There are many digital resources from your public library that incorporate audio or text to speech. Many offer storybooks to be read aloud along with great pictures. Some are free and others have a small fee. Check with your local school or public librarian to learn more about the options. Some examples include Reading Rainbow, BookFlix, Tumble books, Hoopla and OverdriveKids. WRITING AND SPELLING: Writing and spelling can be extremely challenging for people with dyslexia. Writing by hand can be messy, frustrating and downright illegible. However, with technology, students can be much more successful at writing and spelling. We encourage you to explore the apps listed below. Identify what devices your child has access to at home and at school: computer, laptop. iPad or phone. All can support dyslexia in unique ways. Explore the programs and apps available for reading, wiring and spelling. Identify two or three that you think will help your child the most. Try the program or app yourself so you can teach your child in a frustration-free way. Make sure it is appropriate for your child’s age, ability level and deficit. Introduce each technology when you have plenty of time. Show your child how it works. If it has multiple features, introduce several at a time but do not overwhelm her. Let your child explore the programs or app with content they choose. If it is a reading app, let them find a book on their own to choose to read. If it is a writing program or app, let them make up a funny story or spell silly words. Do not force them to use it right away on a big homework project. Encourage kids to practice and not give up. Technology can be frustrating. The more they use each technology, the easier it will become. Once you have success at home, talk to your child’s teacher to let your child use it in the classroom or for classwork and projects. Give your child with dyslexia access to as much ear reading as she wants at home for books that she cannot access with her eyes, especially books for enjoyment. Treat ear reading as you would with another child asking to read a book. Try not to include taking away ear reading as punishment like you would other technology. Remember, if your child misbehaved, you would not typically take away a book as punishment. Consider using Parental Controls or Guided Access to turn off everything BUT the books. Encourage your child to eye read books that he/she is able to successfully with low frustration. You still want to encourage eye reading. Get high interest, short stories that he/she can read successfully and complete. Eye reading is always wonderful! Talk to classroom teachers to let your child use ear reading in school for books or chapters that need to be read quickly and accurately (think homework and classwork). When people tell you “that’s cheating!” you can confidently tell them that it is not. Visit www.DecodingDyslexiaTN.org for more information about Assistive Technology resources and advice. Allow lots of ear-reading for pleasure in free time. Let your child pick the books he/she wants to read. Create clear guidelines to encourage children to use their technology for homework and projects that they need to write, read or spell well. Often kids will want to just complete a worksheet or write a story without their technology because it is quicker. Some parents make rules like “For any story you have to write over one paragraph, I need you to use your Co:Writer” or “I know you want to read that social studies article yourself, but it is really long and the answers count for a grade. So please eye read the first paragraph but then please try using your ClaroScan pen.” Talk to your child about your rules. It works best if you decide some guidelines beforehand to avoid nightly homework battles. Set clear technology rules and use Parental Controls. Check what they are accessing often. Be clear on the time of say they can use technology and for what purposes. For example say something like “I am excited you want to listen to your audiobook, but I need to trust you that you are not playing Minecraft while you listen.” Realize that inappropriate content can get through even the best parental control and that audiobooks may have inappropriate content. Realize that if your family shares accounts on things like Audible, books you read can be accessed by your child. Stay vigilant. If you have more than one child, explain to siblings why one child gets to use technology more often. Combat the “but it’s not fair!” argument before it starts. You can also consider telling other children that they are welcome to type homework assignments on the computer and listen to audiobooks if they want to. Once they understand that technology does not mean games – they usually back off. Talk to your child about how he/she feels using technology at school. Some kids feel embarrassed by being different. Some kids love feeling special. Let them know you are open to talk about it. The social stigma of dyslexia can be real. One teacher knew her student with dyslexia was feeling out of place so she announced to the entire class that any child could bring in a device from home to listen to audiobooks. After that, the student felt more comfortable. Be creative. It was such an honor to receive TNIDA’s Massey-Sexton Dyslexia Advocacy Award for 2018. So often, advocating for your child with dyslexia is an lonely endeavor. You feel isolated like you are the only one out there who understands and who is fighting to make things better. You feel like you are the only one who sees the difference between how things should be for students with dyslexia and how things actually are. But being in the room at the TNIDA RISE Conference made me feel the power that we each are not alone. We are all doing this together – educating, advocating, pushing to make people around us understand dyslexia. It does not matter if you are doing this just for your child, or just for your school. If you are advocating in an IEP meeting, in teacher conferences, or in a professional development sessions. It matters that we are all doing it together…making real change for the 1 in 5 of us to have dyslexia who are ready to be seen and understood in school. I am thankful for my family, especially my daughter Clara whose dyslexia journey has been my inspiration. I am thankful for all the dyslexia mamas out there who have shared their stories, their frustration and their pain with me and given me the fuel to keep going when I felt tired and hopeless. I am thankful for all the educators and policy makers out there who get it and have shown me that what we are doing is working – even if it is slowly. I am thankful for all the advocates out there who have mentored me and stood beside me. I am thankful forTNIDA and Decoding Dyslexia for being the change agents in Tennessee and keeping educators and policy makers focused. We have all made such progress, but there is still a long way to go in Tennessee. My challenge to each of you reading this is to keep going today. This work matters. Again, it is an honor to advocate amongst such wonderful company.